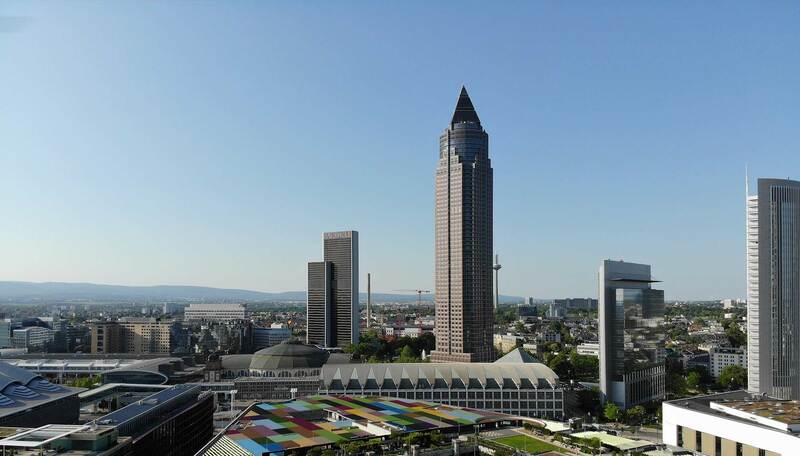 The MesseTurm, built in 1990, is to be renovated in a big way. 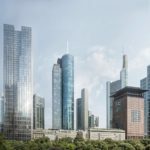 The 256.5-meter-high skyscraper will be converted to state-of-the-art technology to plans by Helmut Jahn, the original architect of the Frankfurt landmark. In particular, the lobby should be brighter and move in new premises. 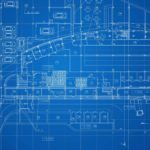 The conversion work will begin in April 2019, according to Officefirst. Officefirst is an asset management subsidiary of the owner Blackstone. 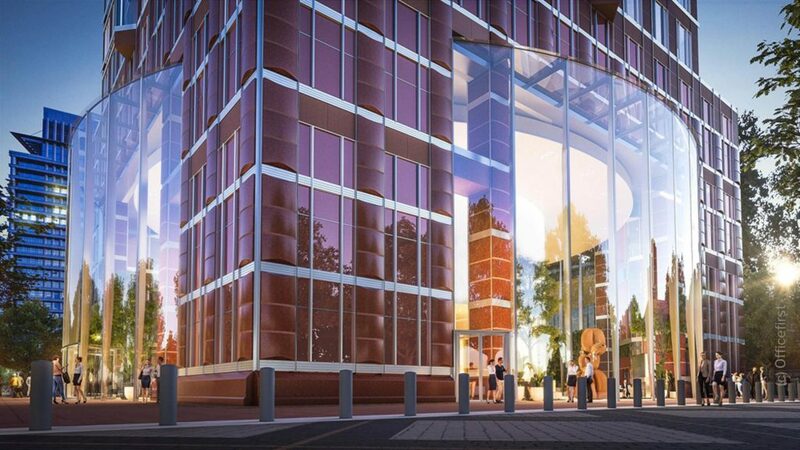 According to Officefirst, the office tower block, which some call a “pencil”, will receive a “fresh cell spa” by the summer of 2020 and be “equipped for the requirements of modern office users”. For this an investment of 100 million euros is available. The façade of the MesseTurm is to be remodeled only marginally. The oriels on the edges of the tower will be illuminated in the future, which should emphasize the postmodern architecture of the MesseTurm more. On the other hand, the building base should change more strongly. During the revitalization of the MesseTurm, great value will be placed on a cozy ambience, creative retreats and an appealing gastronomy. A café bar in the lobby is designed to entertain visitors inside and outside the building, with a design-inspired Thun-inspired restaurant in the basement. This would be a reversal of the previous concept, which allows only selected visitors to enter the building. According to plans by the German-American architect Jahn, who is also committed to modernization, the tower base will in the future consist of glass elements that are at least 18 meters high, three meters wide, and which, according to Officefirst, will be installed in such a high-rise building for the first time. The new façade of the MesseTurm will drop plans for more light than before in the lobby. There, bright and warm materials are to be installed according to a design by the Italian architect Matteo Thun. Also, all connecting corridors and the elevator area should be designed. According to information from Officefirst, the aim is “the flair of an international top hotel”. One of the main tenants of the MesseTurm was US bank Goldman Sachs until early summer 2019. 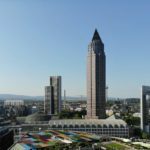 However, Goldman Sachs Deutschland moves to the Marienturm. When MesseTurm was completed in 1990, it was the tallest skyscraper in Europe. 18 meters high glass elements, which are each 3 meters wide, are meant to let more light fall into the lobby of the MesseTurm.